Baddow Road, Chelmsford …the road where people move the most! Star Trek aside, when you decide to move and before the stress of living out of cardboard boxes for months descends; first you trawl the portals (Rightmove/Zoopla/On The Market) to find a new house, which out of the hundreds of properties available to buy, you will probably only view around four or five of them, for no more than 20 minutes each. 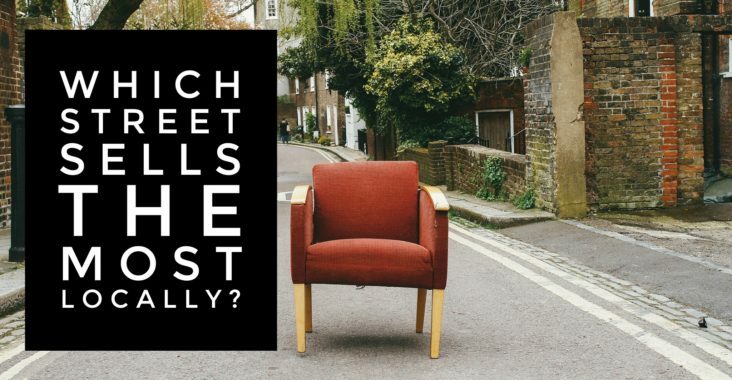 Then, you will arrange a second viewing of one or two of those initially viewed properties for the estate agency industry stated average of 30/45 minutes maximum (fascinating when you think most people take hours to decide what clothes or shoes to buy but minutes to spend hundreds of thousands of pounds on their next home!). 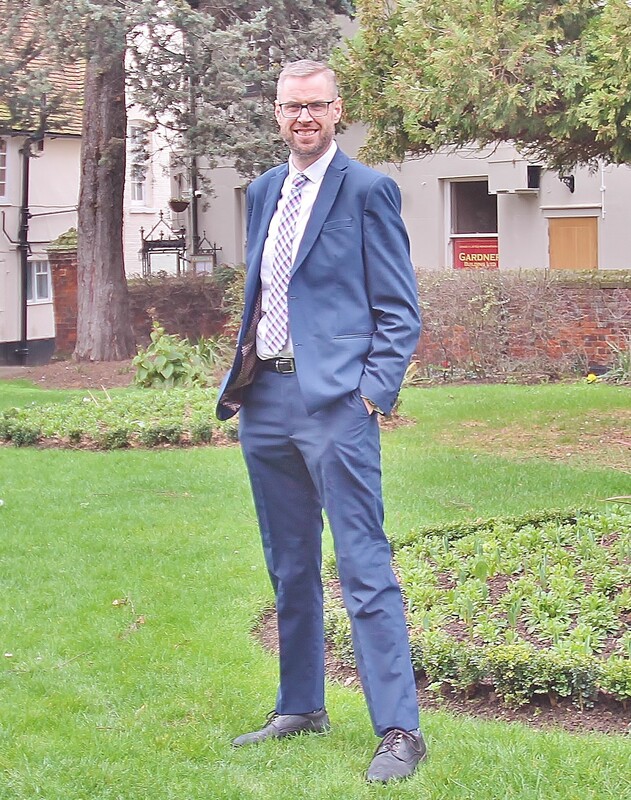 Then you put your property on the market with an estate agent, find a buyer for your Chelmsford property, agree a price for both, then instruct solicitors. The property becomes sold ‘subject to euphuism’ … sorry ‘contract’ … as solicitors and surveyors and mortgage companies pick holes in the paperwork, threatening to wreck the chain at any moment, whilst you can’t get too attached to the property you want to purchase in case the sale falls through … phew – stressful or what??!! Is it worth it? Worth the stress? The brown cardboard boxes? Well many Chelmsford people think so. Yet the question I want raise is … do people on certain streets in the CM2 postcode move more often than others? Well, the answer might surprise you. I looked at the Land Registry for the all the property sales going back 23 years (to 1995) in the CM2 postcode whilst also calculating the average value of a property on a particular street/road (to see if there was a correlation between price and moving). 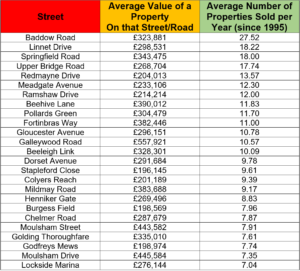 So initially looking at the top 10 streets in the postcode, in terms of pure out and out house sales, Baddow Road is the winner with an average of 27.52 house sales per year (since 1995) as on the graph below. However, I still felt the information wasn’t telling the whole story … some roads in Chelmsford have many more properties on than others, so I wanted to then compare the average number of properties sold by the actual number of properties on that street, to find out the streets whose owners proportionally moved (or sold more often) than the rest of the locality. In the next article, (and I promise I won’t mention Star Trek again), I will answer that question in great depth … and the results should (as they did me) certainly raise an eyebrow. 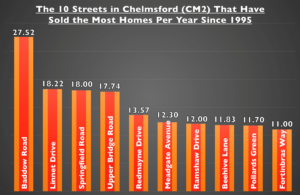 The question is … do you live on one the top 25 Chelmsford most saleable streets in Chelmsford (CM2)? 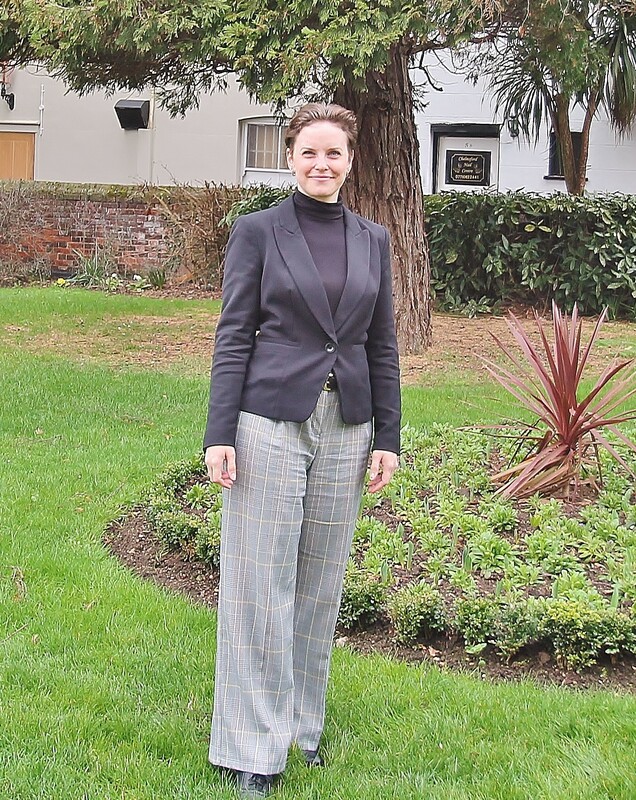 Come back to my Chelmsford Property Blog for the next article to find out!